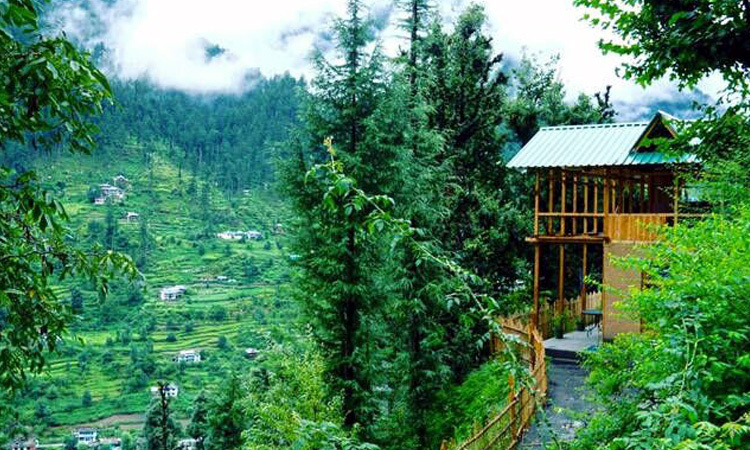 Located in the heart of Banjar Valley, the tiny riverside hamlet of Jibhi is like a picture perfect postcard. 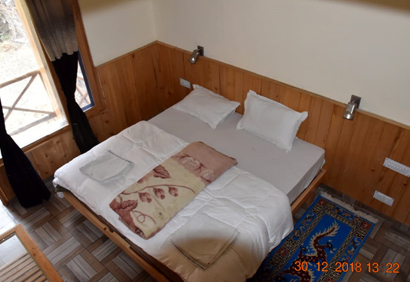 Thick cedar and pine forest, a gentle stream passing through with wooden cottages scattered all along; it has still managed to retain an old world charm, far away from the modern mayhem and the commercial eyes. The moderate altitude of Jibhi makes it a destination for all seasons. Go for long walks into the woods, Lie by the riverside, or just chat with the ever smiling locals and be a part of the their local customs and traditions. 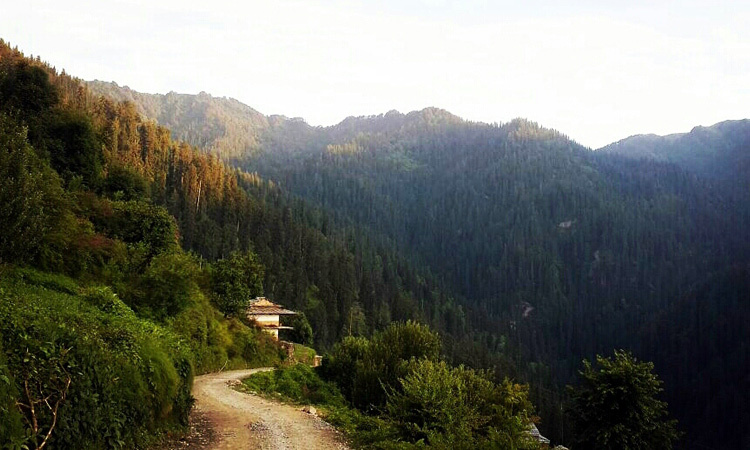 Another fascinating feature of Jibhi is its proximity to some of the most serene yet stunning locations you can imagine. 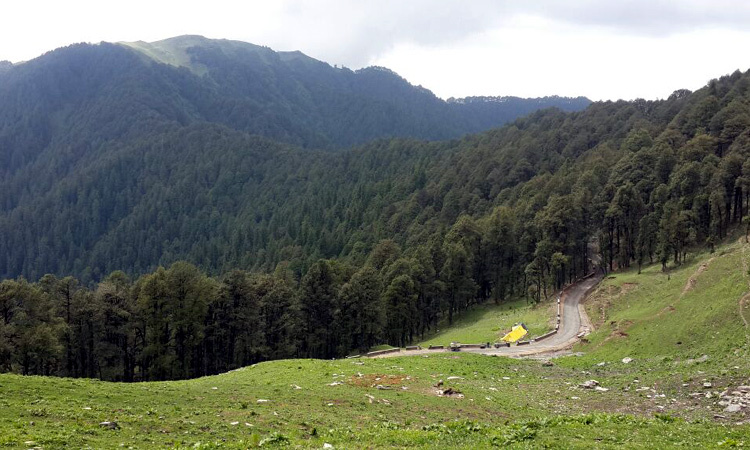 'Jibhi - Symphony by the Stream' lets you experience the magic of Jibhi and its pristine surroundings in their full glory. 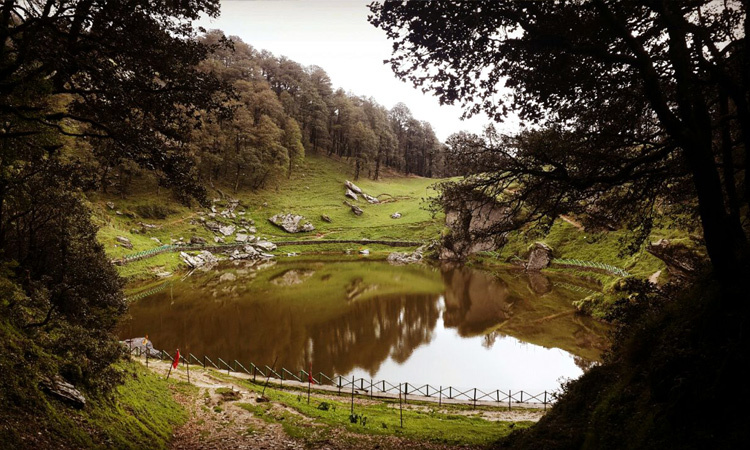 Explore the village of Jibhi at your pace, trek to 'Cheni Kothi' ; the 17th century fort like structure built of wood and stone, get mesmerized by the breathtaking meadows of Gada Gushaini, and come face to face with the surreal alpine Serolsar Lake. 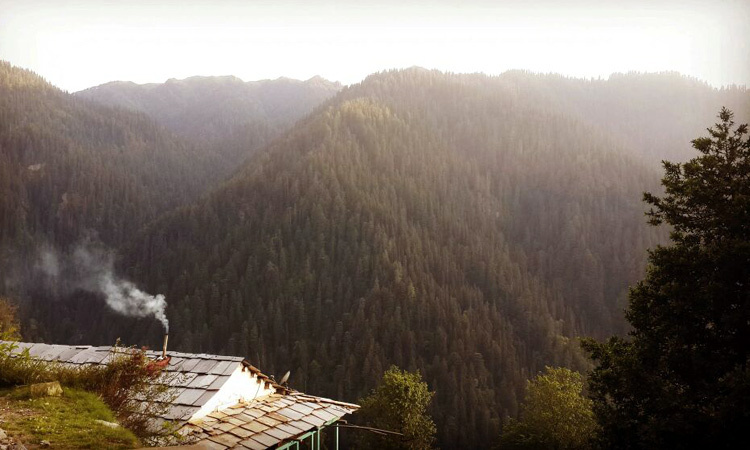 Your stay will be at the Latoda By the River, a property synonymous with the smell of wood and the gorgeous valley views. Sit peacefully in the lovely balcony, and enjoy your escapade as you turn the pages of that favorite book of yours. Max Altitude - 5000 ft. approx. Assemble at a common point in the evening and board your vehicle for the overnight journey. 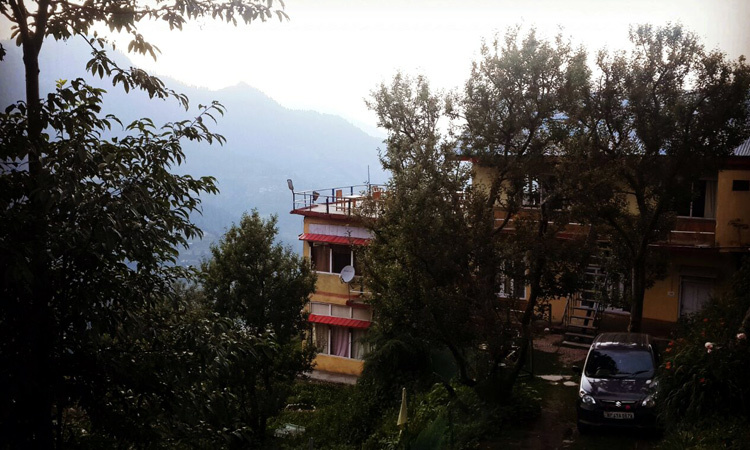 Your dreamy escapade into the mountains commences !! The 497 kms journey takes about 11 hours to complete !! Check in to your property. Welcome drinks on arrival. You start your exploration with a visit to the Jibhi Waterfall. You are bound to get mesmerized by the trail leading to the falls, with small wooden bridges welcoming you all along the way. A gentle walk of not more than 10 minutes, and you will be standing covered in mist, with the chirping of birds now overpowered by the gushing waterfall. 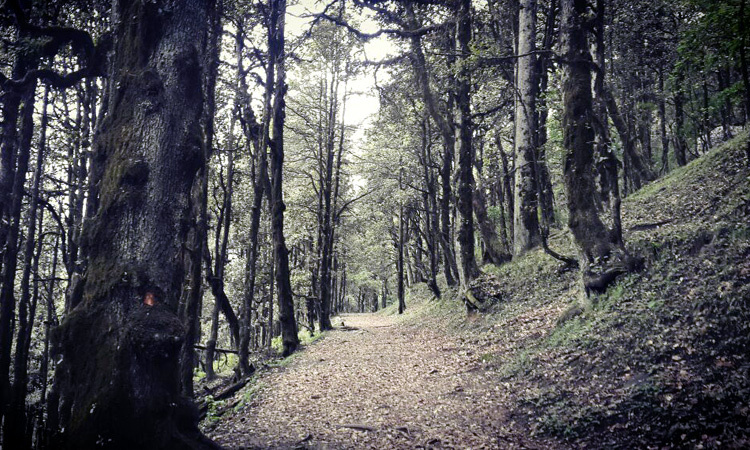 Post lunch, you start your walk 4 kms uphill to the 17th century fort called Chehni Kothi. 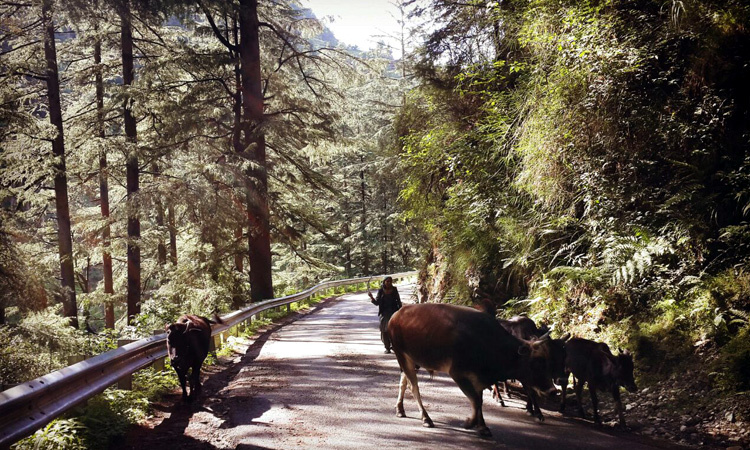 You make your way through a trail of dense deodar and pine forest to reach the village of Chehni. The first thing that catches your eye is the famous watchtower. 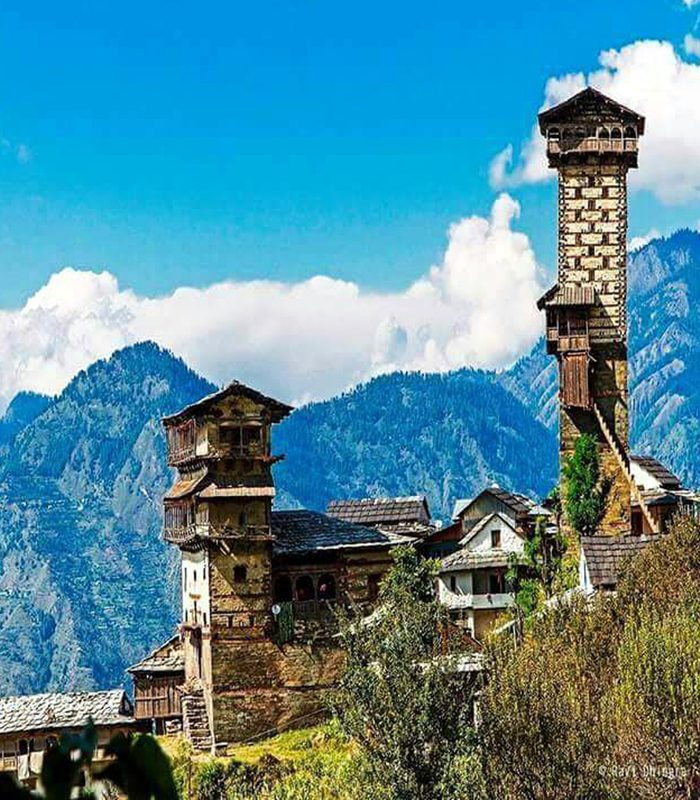 The leaning five story structure, built in the traditional Pahadi architecture, is the tallest standing structure of its kind in the entire Western Himalayas. The 40m high tower is built in a way such that timber and stone are layered and interlocked to withstand the harsh environment. The tower has been standing for centuries, and even survived the massive Kangra earthquake in 1905. Built by a local king Dhadhu, the tower temple were constructed not only as a vantage point for safeguarding the village, but also as a storage structure. The Goddess idols are placed on the fifth floor. Entrance is allowed only if you are wearing a dhoti. The views of the valley and the nearby peaks from atop are simply spell bounding. The remains of the Chehni Fort lay opposite to the tower. it has now been converted into a temple dedicated to Lord Krishna. 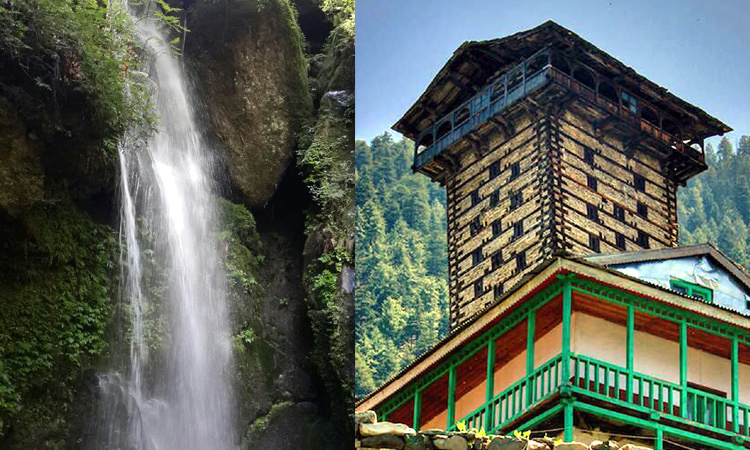 The famous temple of Shringa Rishi, Banjar-Tirthan Valley�s presiding deity, lies half a kilometer below Chehni, in the village of Bagi. You must be quite a tired person at the end of the day. So head straight to your Hotel for an evening cup of tea and snacks. Grab a corner and unwind into the stillness in the air. 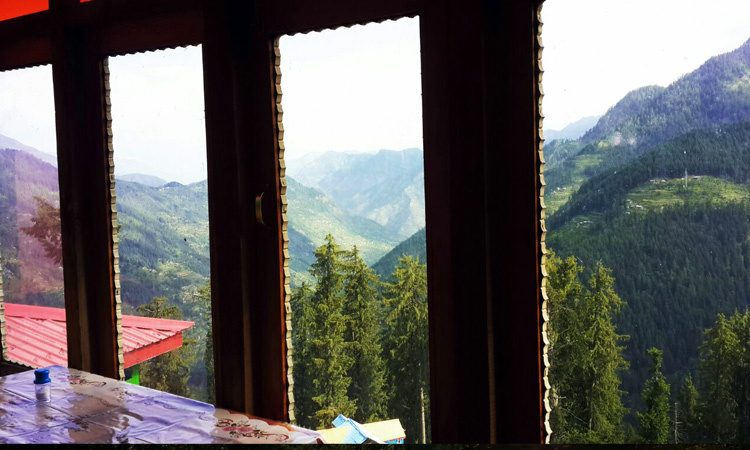 Wake up amidst the resounding beauty of nature. Sipping a hot cup of tea and hearing the silhouettes of the gushing river nearby is pure bliss. Have a sumptuous breakfast and put on your trekking shoes. 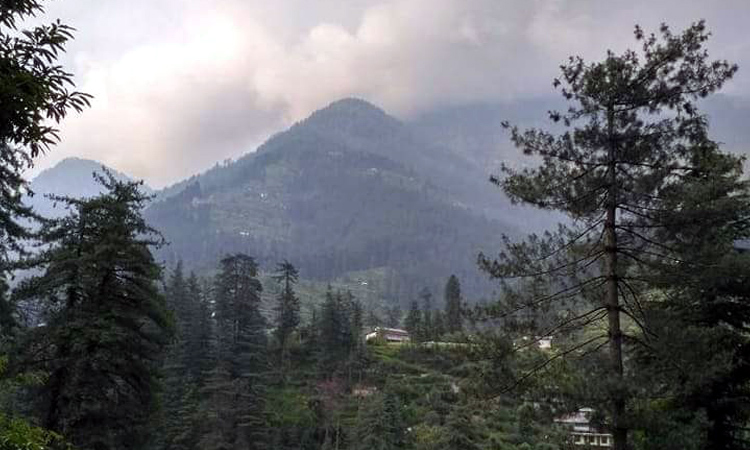 You will be undertaking a moderate trek to the Gada Gushaini Valley, a region known for its deep forests, lush green meadows and serene surroundings. 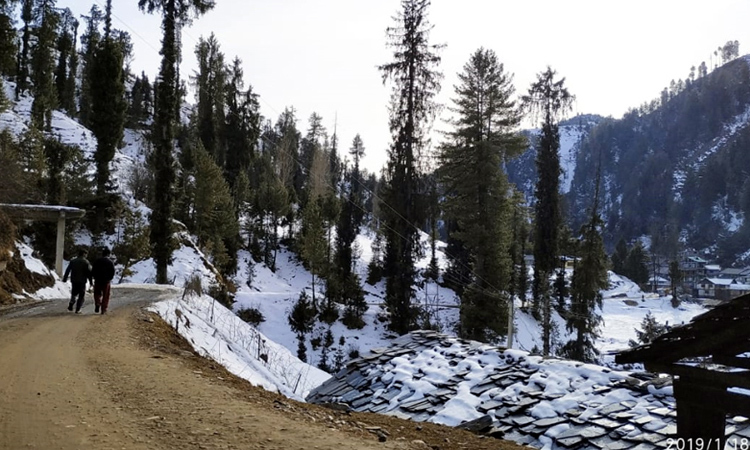 The village of Gada Gushini, located at an altitude of close to 7,500 ft, is a typical Himalayan hamlet set in a beautiful valley, with a stream flowing through. Have packed lunch during the trek. You return to Jibhi by late afternoon ; a pefect time to sit by the gushing Tirthan river and try your luck with a soothing Angling session !! The Tirthan is renowned for the huge flock of Himalayan Trouts it possesses. Who knows..a little patience might reap you with your own �Catch of the day� !!! Have a lazy dinner and enjoy the life in a wilderness !! Another beautiful morning awaits you. Your warm bed may seem hard to come out of, but just a peep outside the window will alter your though process upside down. So why don't just put on a jacket and explore the virgin surroundings yourself. Have a lazy breakfast and get ready to experience a marvel of nature in its full glory, the serene and breathtaking Serolsar Lake. 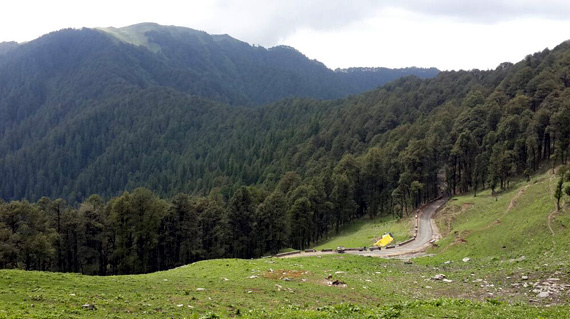 it takes about an hour to complete the 12 km journey from Jibhi to Jalori Pass. Watch for the gradual change in scenery, as you gain altitude from 5,700 ft to 11,000 ft in a matter of an hour. Return to your hotel by evening. and enjoy the hot snacks. Its your last night in the lap of nature, so let us treat you with hot snacks by a bonfire!! Have a lazy dinner and soak in the beauty, the aura, and the beautiful memories you have amassed in the last few days. The breakfast table awaits you for one last time. Greet your lovely hosts, and bid farewell to the magic of Jibhi. "Latoda by the River" fulfills your desire to enjoy the river at your doorsteps or listen to the healing sound of rolling waters while you sip your coffee in the balcony. 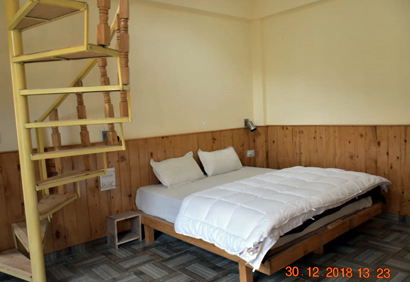 The rooms are combination of wood and modern architecture. 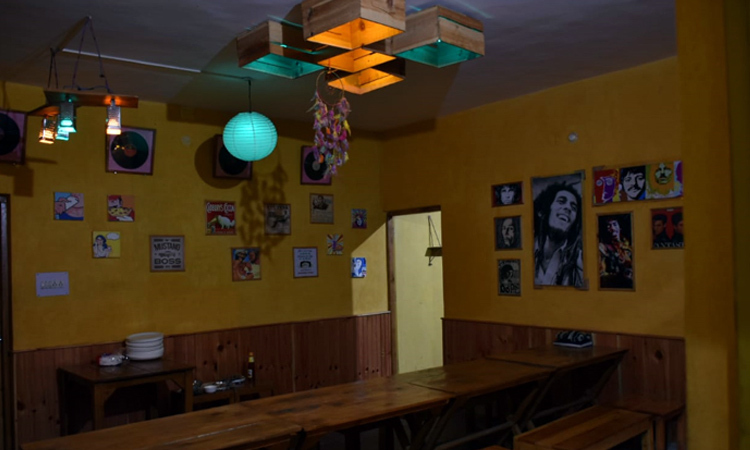 The Caf� downstairs is the perfect place to sit by the riverside and relax with a warm sips of various flavors of herbal tea, green tea & coffee!! 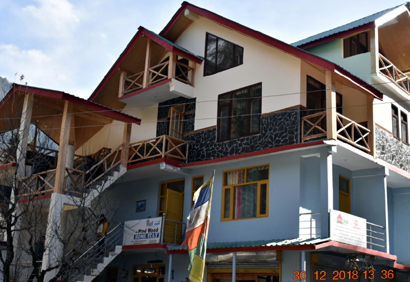 - 3 nights accommodation in Jibhi.